The team from Willim Espresso brings an understated design sensibility to their new cafe venture in Prahran. Venture into the vast converted garage that is Hobba and you’ll find a world of under-designed, understated, cafe cool. Natural light splays from immense shopfront windows open to the street; bare brick walls reach for lofty ceilings; a tree planted inside towers up toward exposed wooden beams. Hobba is the new project from the team behind Malvern’s Willim Espresso, which opened on Monday. The team comprises front-of-house man and coffee guru Gerrick Numan, head chef Josh Powell, whose pedigree includes stints at Vue de Monde, Circa and famed UK eatery Fat Duck, and Simon McNamara whose business acumen was previously utilised at Grill’d and Boost. Offering delicious cafe food, the aim of Hobba is “to undersell and over-deliver”. 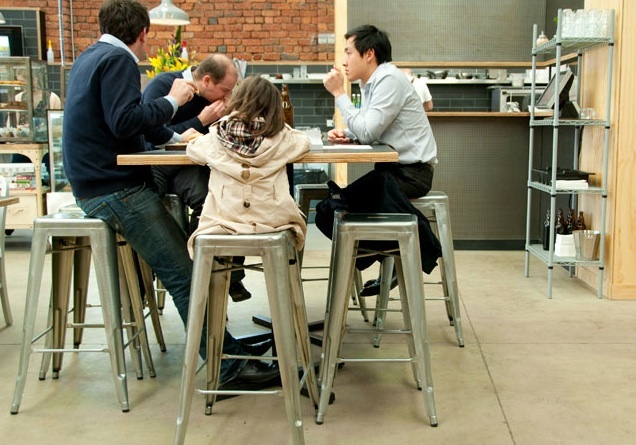 Void of unwanted fanfare, the cafe caters to all types including families, friends and business folk alike. Diners feast at wooden booths and tables for breakfast or lunch, enjoying fresh, local produce such as fried eggs with bubble and squeak, quinoa salad with braised lamb neck, or a Galloway beef burger with pickle cheddar and iceberg lettuce. Combi Coffee might have began as a freewheeling festivalgoer, but it’s now also planted itself on solid ground with a couple of cafes in Melbourne’s bayside. If you happen to be an avid music festivalgoer, chances are you have sipped on a much-needed latte provided by Combi Coffee’s coffee van. The project of South Australian native and former Adelaide Fringe Festival organiser Anthony Baker and his partner Penny Loughnan, Combi Coffee has been providing punters with their caffeine fix at events as diverse as the Meredith Music Festival, Queensland’s Dreaming Festival and the Falls Festival in Lorne and Tasmania. About three years ago, following a life spent mainly on the road, Baker opened Combi Coffee Cafe in the bayside suburb of Elwood, establishing another permanent residence at Albert Park in March of this year. A small menu of toasted sandwiches and Little Bertha slices are available at both venues, as well as salads and Vegie Curry Man vegan soups at Albert Park. When not on the road, the Combi van is parked alongside the Albert Park cafe, where visitors can gather and enjoy a fair-trade, certified organic coffee roasted in the Yarra Mountain Ranges. 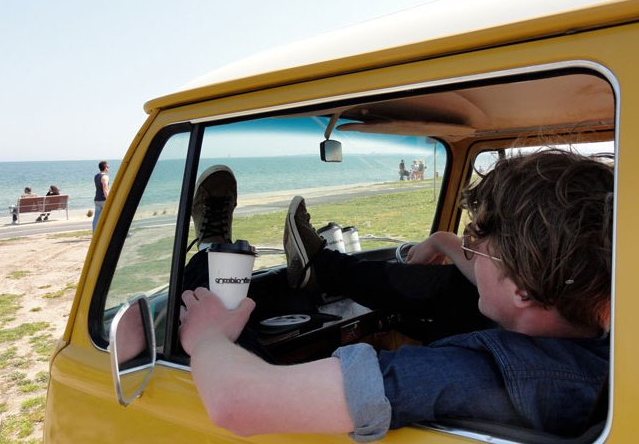 From the mountains to the beach and all the festivals in between, Combi Coffee is on the move.